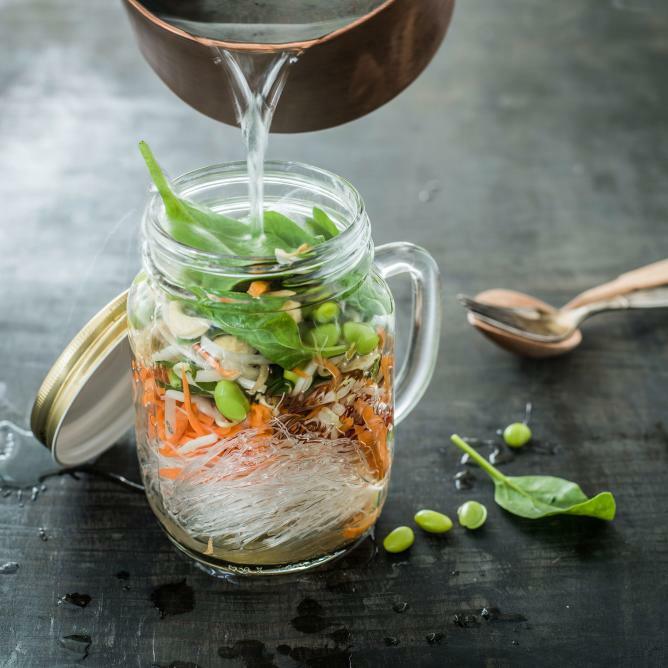 Divide the glass noodles into the preserving jars and top with the carrots and all the ingredients up to and including the spinach. Mix all the ingredients in a bowl and pour into the jars. Close the lid and chill until ready to prepare. Pour the water into the preserving jars and stir well with a fork. Close the lid and leave to absorb for approx. 5 mins.